Getting together with friends to tell stories is usually a good time had by all. You can get as silly with it as you want. Collective storytelling is certainly a part of human culture going all the way back. 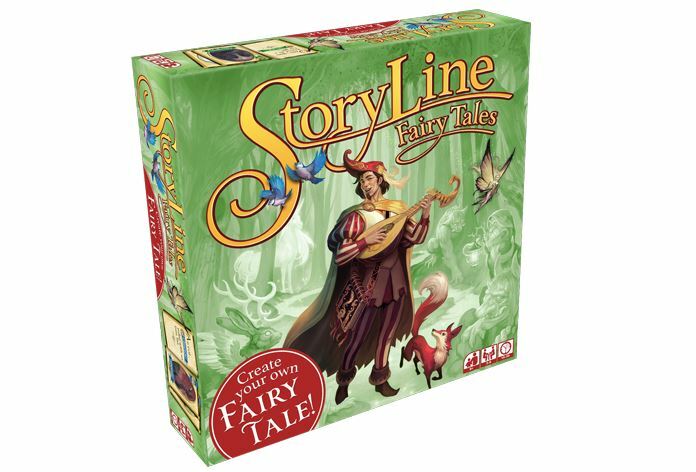 Well, Asmodee is here to help facilitate that and bring it back to your living room with Fairy Tales, the first in their Storyline series of games. The game is a spin on the party card game where you have a single judge, with other people given prompts to which they submit cards, and a winner is picked by the judge. So, like a family-friendly version of Cards Against Humanity. This is one you can play with grandma and your 6 year old niece. As the turn goes on, the fairy tale gets more details added to it. Once the tale is complete, the next player takes over as storyteller and a new tale is woven.